SLEEPS 8. Bed arrangement: 6 Singles, 1 Double OR 3 King-size, 1 Double. 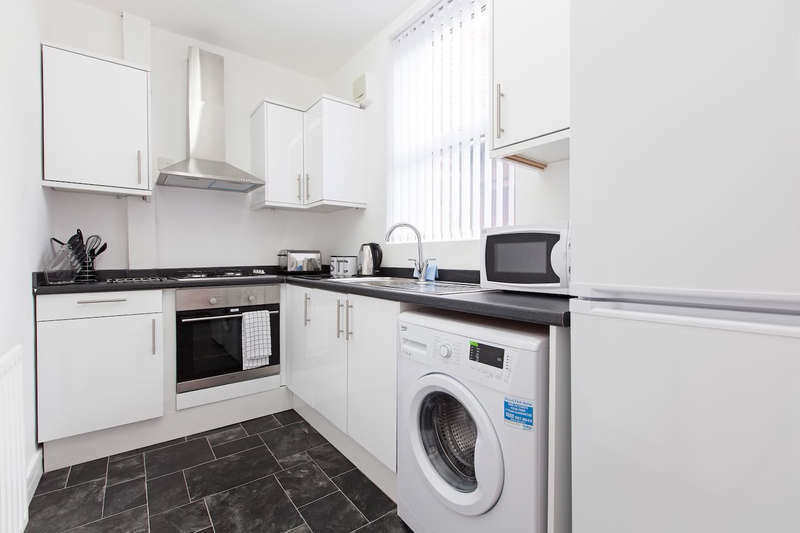 A modern and spacious property located just 5 miles from Leeds City Centre. 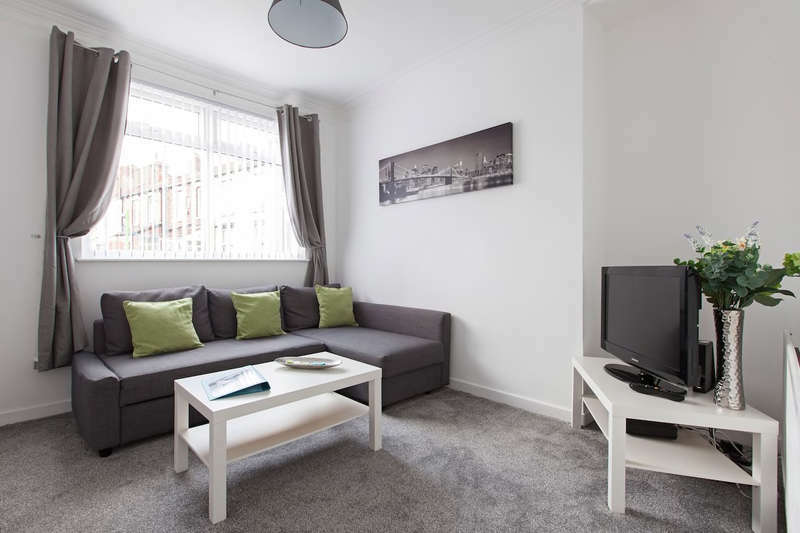 Furnished throughout, with a fully equipped kitchen and private outdoor space. High-speed broadband and TV package included. 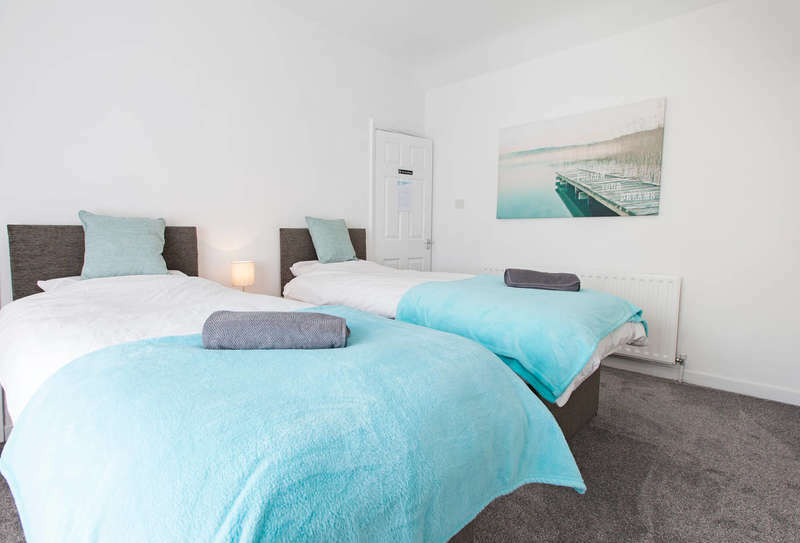 Just a short taxi ride to Leeds City Centre, Hopewell House brags 3 luxurious bedrooms and a spacious living area, putting you in prime position whether you're seeing the sights or visiting for business. Explore the bars and restaurants of Call Lane and Millennium Square. Catch the big live events at the First Direct Arena and Elland Road Stadium. Seek out the season's must-haves in the Trinity Shopping Centre. Then nip back to enjoy a long night's rest in our huge, comfy beds. Hopewell House is booked as an entire house, exclusively yours for the duration of your stay. Keys are provided via an external key-safe for which guests will be given a code for. Local bus routes run close to the property, and most shops are within walking distance. For longer journeys, the local cab office runs inexpensive rates to and from the city centre. All property reservations have a 14-day cancellation policy unless otherwise noted. Any changes on packages or rates to your reservation must be done 14 days prior to you arrival date. Reservations that are not cancelled within 14 days are subject to the full cost of the stay. No-shows are also liable to the full cost of the stay. Check-in time is any time after 3 PM. Check-out is at 10 AM. If you require a later check-out, please contact us before 10 am on the day of your departure. We will do our best to accommodate your request, although successful requests cannot always be guaranteed. A charge may apply, depending on availability. All pets are prohibited in and around the property. Online payment is via debit card or PayPal. A mandatory security deposit of £200 will be added to your booking. This covers any incidents that may occur during your stay, such as damage or theft to the property. Should the total value of such an occurrence be higher than this deposit, we reserve the right to charge the excess amount to cover the costs of repair/replacement. Upon inspection, if the property is found in the same condition as it was advertised at, the full deposit will be refunded back within 3-5 working days of checkout. Smoking is strictly prohibited inside all properties. Guests must be 18 years or older to check in without a parent or legal guardian. Open Door Serviced Accommodation enforces a NO IN-ROOM PARTY POLICY to ensure we can protect the property and our guests at all times. In the event of a disturbance one warning will be issued to reduce noise. If this warning is not followed, the guest/s will forfeit all fees and must leave the property immediately.